Visual Studio Code>Programming Languages>Black Ops III GSCNew to Visual Studio Code? Get it now. This neat little extension allows you to code your .gsc scripts in VS Code with full support for Black Ops III. These instructions will get you a copy of the project up and running on your local machine for development and testing purposes. See deployment for notes on how to deploy the project on a live system. 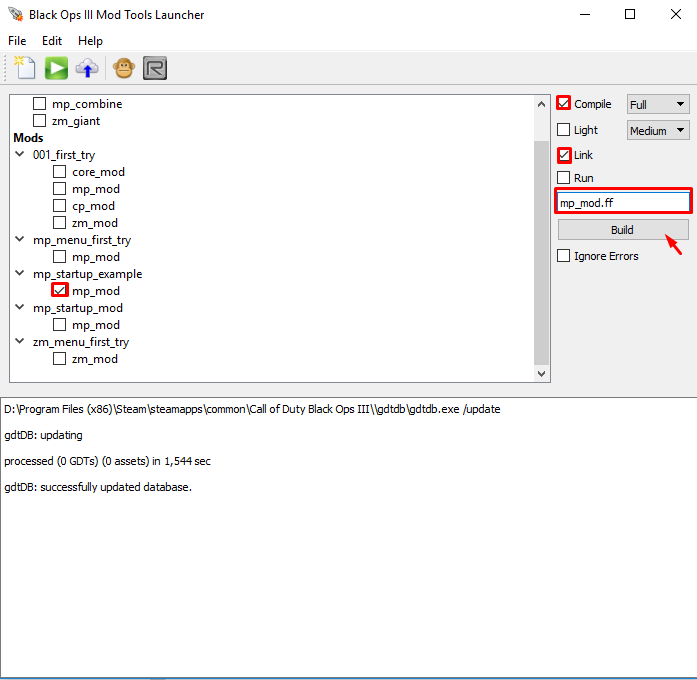 Once you've downloaded the necessities, I suggest you download this zip file, where you will find Treyarch's documentation and most of their game scripts. There will also be an example mod. And just create a new folder called 'mods'. Then unpack the downloaded .zip file and place the 'mp_startup_mod' folder inside the 'mods' folder. Open the 'mp_startup_mod' folder, go to scripts\mp\gametypes and open the file '_clientids.gsc'.